I had such a wonderful time in London yesterday, it would be great if all Saturdays could be like that. I got the 7.30am coach from Cardiff (it felt wrong to be up that early on a Saturday) and spent the entire day in Covent Garden. I wore my new dress that I mentioned in this post. It has a lovely big collar which you can't really see in the photo and it is the perfect length. Why are dresses all so short now? I also wore my new hat which I was a little self conscious in, not sure if I'm a hat person. 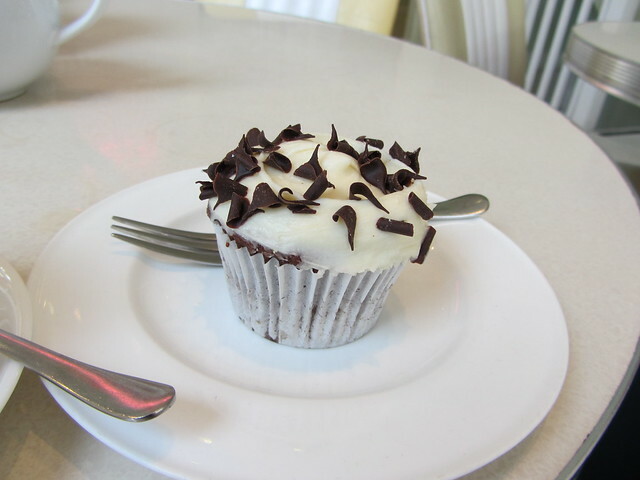 I went to the Primrose Bakery for the first time and had a lovely chocolate and vanilla cupcake. Going to try the lime and coconut next time. I did a little shopping and spent way too much money in Lush before heading to the Duchess Theatre to catch the matinee performance of Our Boys. Our Boys was about Six young soldiers recovering from injuries incurred in the line of duty. 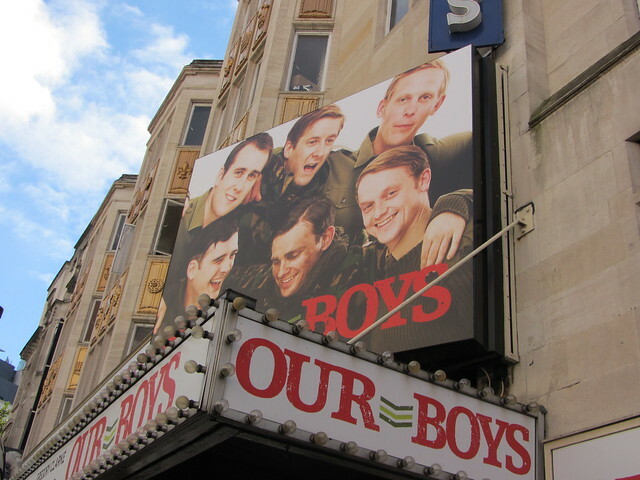 The casting was brilliant and it starred Cian Barry, Jolyon Coy, Arthur Darvill, Laurence Fox, Matthew Lewis and Lewis Reeves. Laurence Fox gave a particularly good performance as a IRA bomb victim whose mental scars are only revealed at the end. The play is well worth checking out if you can get to London and you can pick up some cheap day tickets when the box office opens each day. I met all the cast at the stage door and they were all very charming. Matthew Lewis felt like his performance wasn't as good as the others in the cast but he had nothing to worry about. 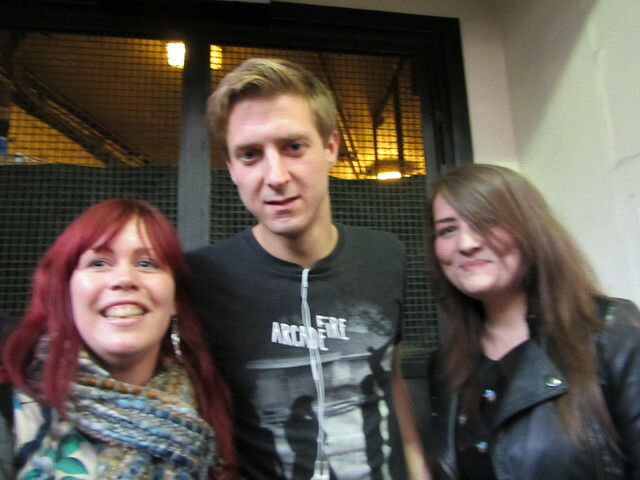 I tried to play it cool but I was so excited to meet Arthur Darvill. I headed off to Byron Burger to calm my nerves after meeting Darvill, pretty sure I was having palpitations. I'm a bit obsessed with Byron burgers after trying them at Bestival and I wasn't disappointed when I had one in one of their restaurants. 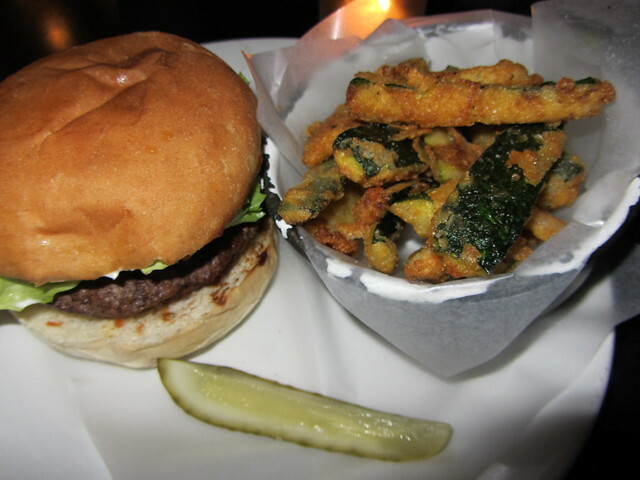 The courgette fries were amazing, going to try and make these myself at home. Going to see Our Boys has got me thinking about what play I'm going to see next. Currently on the lookout for cheap tickets to see Peter and Alice with Ben Whishaw and Judi Dench. Got any recommendations for what I should go and see next? I would actually die on the spot if I saw Matt Smith or spoke to him. Love him and his big weird face. Phwoar. Aww it sounds like you had an amazing time! I'd love to see Ben Whishaw on stage, so excited to see him as Q in Skyfall! He is just perfect at everything he does. Bright Star is my favourite film ever. Oh my goodness, this sounds amazing, I will have to try and see it! p.s. next time find your way to wardour st off oxford st for the Humming Bird Bakery! they do the best red velvet cake! Arthur Darvill! Oh how I'm going to miss Rory! Just wanted to say you look fab :) have been looking through your blog and you are an inspiration with your weight loss :) ive just started to lose weight finding it mega hard at the moment!!! I've always wanted to try the primrose bakery cupcakes out - just to compare them to hummingbird! Should do a taste-off haha. Primrose icing is nicer and I like the violet cakes but the cake is a little drier. The red velvet is apparently way better in the Hummingbird too. I've got an amazing recipe for courgette fries if you are in need of one. I pretty much sit and eat the whole entire batch as soon as they come out of the oil. eeeeep! oh well, right? !